Longberry's Leap is a storybook for children, grades 4-6, written by Leland James and illustrated by Anne Zimanski. Who is Longberry, and why does she keep on wondering about things? Longberry just can’t accept that the kingdom she resides in is all that matters in the world. When the king tells her that there’s nothing out there, Longberry can’t help but wonder if that is really the case. Longberry drives the king crazy with her imagination and her insistence that you can’t really assume there’s nothing out there just because you can’t see it. Even the castle courtiers try to persuade her to give up her imaginative pondering, but to no avail. Neither courtiers nor chorus could talk Longberry down from her wondering. And then, one day, she decided that it was time to start her adventure, to see for herself what was out there. And what she found was amazing indeed. 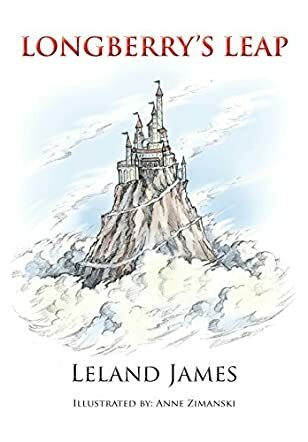 Leland James’ storybook for children, Longberry's Leap, is an homage to the thinkers and dreamers out there who can’t accept that everything is already known, and who haven’t lost the capacity for wonder. James’ poetry is made for reading out loud, and adults will find themselves looking forward to story time and their chance to read this aloud to an audience. While listed for a middle-school audience, I’d not hesitate to recommend this book for younger readers as well. James includes a useful glossary of words and terms, and Zimanski’s whimsical line and wash drawings greatly enhance the reading experience. Longberry’s Leap encourages children to wonder and dream, and it also introduces them to poetry and classic children’s literature. It’s most highly recommended.